More thank 50% of an Aircraft being manufacture today, is made from some sort of composite material. Composites are taking on and ever-increasing role in structural application and replacing light weight alloys. Will composites replace the age of metal? Read on to find out more about what experts at Airbus think about this. This is an article is a re-posted interview excerpt from the Airbus website, to keep key stakeholders informed on interesting and the most up to date public industry news. Metals and light weight alloys have been the material of choice for nearly a century aircraft, but there has been increasing competition for the use of composite materials in aircraft such as the Airbus’ widebody A350 XWB jetliner. It’s becoming difficult to justify why composites should not be used over other metal alloys, with increasing demand for fuel efficiency and performance from customers. Will metals become obsolete in aircraft? Two experts from Airbus’ material procurement division discuss below. Raphael Duflos is Airbus’ lead metallics buyer, and Cedric Thibout is the company’s lead buyer for composites. Raphael Duflos: Metallic materials are our legacy – the aviation industry been building aircraft out of metals ever since wood and canvas were phased out. We know a lot about their properties and there are plenty of suppliers who are also very familiar with working with them. Generally speaking, we shape metals by taking away what we don’t need – it’s a subtractive process and that means a lot of waste. The ‘buy-to-fly’ ratio isn’t good. Depending on the metal, only 10-20 percent of what we buy ends up in use on an aircraft; the more complicated the design, the worse the buy-to-fly becomes. Cedric Thibout: Composites, which usually means reinforced plastics, are almost the complete opposite. They’re new and there is very little waste indeed. Composite materials also can be modified to ‘tweak’ their properties fairly easily, and designs can be very flexible. The flipside is that we have fewer suppliers to choose from and the materials and manufacturing processes can be expensive. 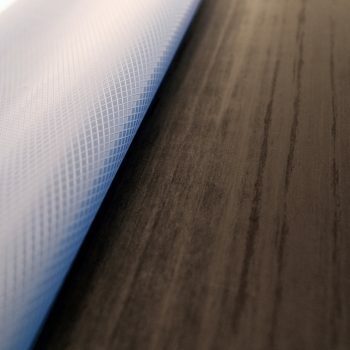 The technologies involved are evolving so we can expect prices to drop and expertise to become more common, but for now, composite materials aren’t cheap. SCC: At SCC we are constantly streamlining our production process with our customer, to ensure that we can offer the most competitive price for high precision and critical aerospace parts, with full lot traceability. We have one of the lowest non-conformance rate in the industry due to being proactive towards continuous improvement and the 5 whys approach. What considerations go into choosing one material over another? Thibout: Material buyers are involved at the earliest stages of the design process. Sometimes it’s best to explore a number of possibilities for a part, and doing that properly involves complicated considerations. It isn’t just about raw materials and manufacturing – we also need to take into account costs for development, testing, certification, servicing and the end of the component’s lifecycle. Duflos: That isn’t easy. We’ve even been involved in the design of new metallic alloys to do the exact job that we want – we have to explore all realistic possibilities thoroughly to be as sure as possible that the decisions made are the best for the company and our customers. Choosing the right material is about balancing performance, weight and cost. That’s why we work with multi-functional teams and play a coordinating role – ultimately, the decisions are collective, and all the Airbus divisions involved have to agree on the way forward. I’m focussed on metals and Cedric looks after composites, but we’re both part of Materials Procurement, helping the wider business choose materials wisely. SCC: We have huge amount of experience working with both lightweight structural alloys and composites, especially with high strength bonding. How does Airbus ensure quality, particularly with a new alloy or composite? Duflos: Testing to check that a material has the properties we require is absolutely key. Even though we choose reliable suppliers and trust them, we still regularly push materials to their limits in testing to be sure that they’re safe and that we meet our responsibilities. This is expensive, but big data could open up new opportunities. Thibout: When we buy a composite or a metallic alloy, our testing lets us be certain that the supplier used the right mixture of materials and followed the right process to give us the properties we agreed on. Using their data, we’ll be able to check all this more easily – we won’t replace destructive testing completely, but we can envision fewer sessions. How is material procurement changing? Duflos: We’re launching the Integrated Metallic Material Management project, or IM3. It’s an Airbus-driven approach that will see us challenging every part throughout our entire supply chain. We’ll be working alongside suppliers to check that we’re making the best possible decisions on materials and processes at every stage. Thibout: It will be a massive job, but big data has made it possible for the first time. We’re also preparing the future generation of aircraft by ensuring that the best suppliers and partners are on board, cooperating with us to develop the best materials and technologies at the most competitive total cost of ownership. The big Question: Will composite materials replace metals? Thibout: I don’t think so. There are areas of an aircraft where the strength and familiarity of metals make sense. Take the A350 XWB: Much of the wing was perfectly suited for composites, but for the underwing pylons that support the jet engines, titanium had the properties that made it our top choice. Another factor is what happens when materials mix – aluminium fasteners corrode quite quickly when they are in contact with composite panels, so we use titanium instead. The increase in composites has actually stimulated demand for titanium. Duflos: There’ll always be a balance needed, and even that will continue to evolve. 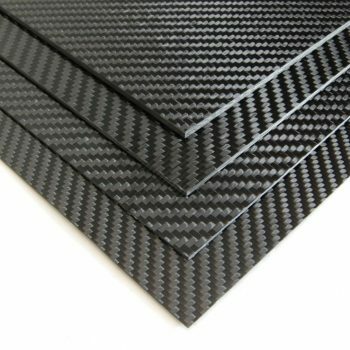 Now, composites can be used to make much more complex parts than metals and they also have the edge as far as waste is concerned. However, we’re seeing more and more work being done using powdered metals in additive layer manufacturing. For now, the powders are far more expensive than plate metals. But as prices come down, we could see metals becoming a viable alternative in areas where composites are currently the preferred option. The idea of metal as a legacy material that relies on a subtractive process is starting to blur. SCC: From our perspective as experts in composites and as engineers, we see the value in both the value of metals and composites for the future of aircraft. Many of the moulds we work with are made from alloys or have structural alloy insert to enable complex moulding when combine with a composite mould. The same goes for, the resulting components being made. This allows for more intelligent and multifunctional components to be made, allowing aircraft component s to made with greater efficiency and performance. If you like to find out more about how composites are being used to today in aircraft, click here to get in contact and we’d be more than happy to help.